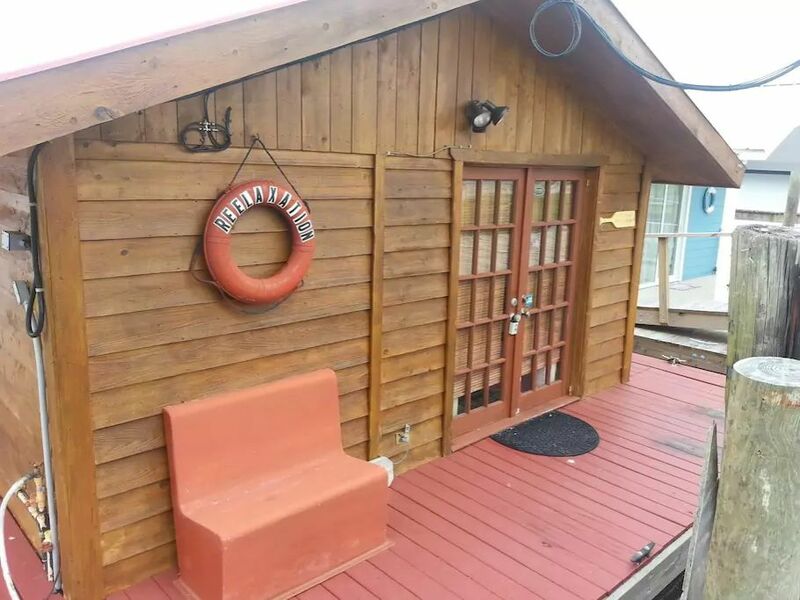 Docked in Apalachicola, Florida, this charming, rustic, floating home sort of brings to mind a cabin in the woods. 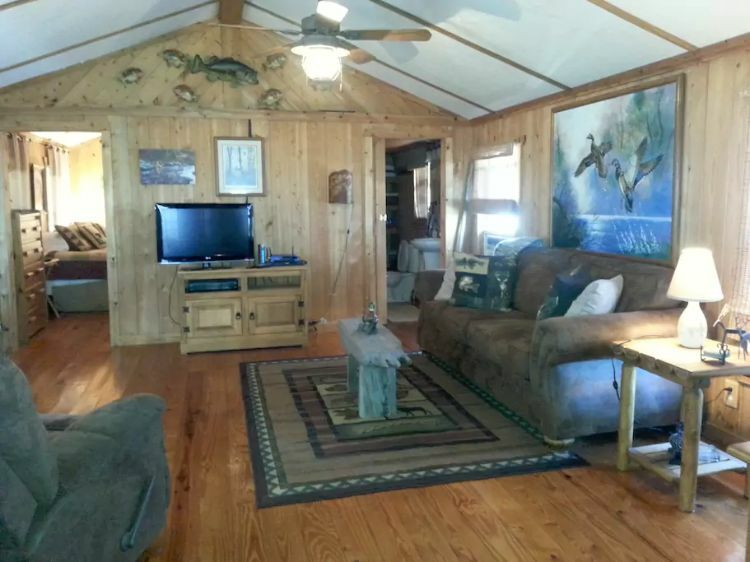 With a cute fishing theme and a host of creature comforts, this is the perfect spot for a getaway! Beautiful sunrises, plenty of fishing, and lots of sightseeing make this a beautiful vacation destination. 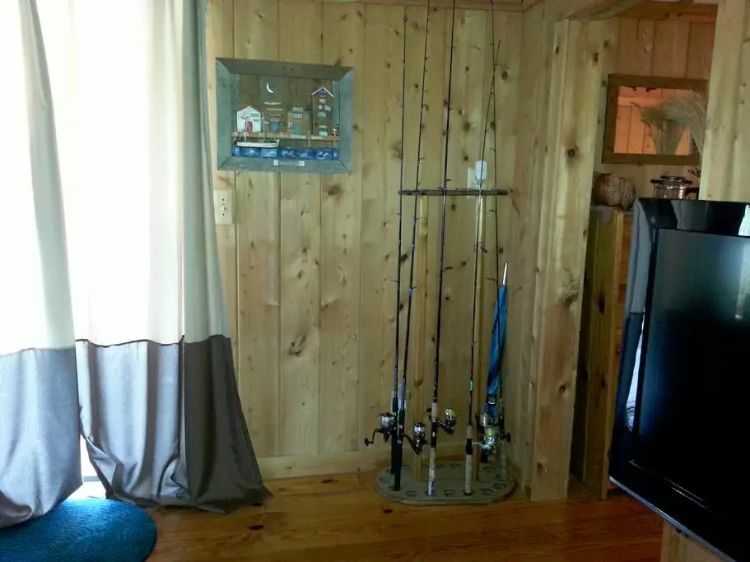 Built by a fishing captain, the home is within walking distance of town, which offers shops and restaurants. You may even see some dolphins, ducks, and shrimp during your stay. 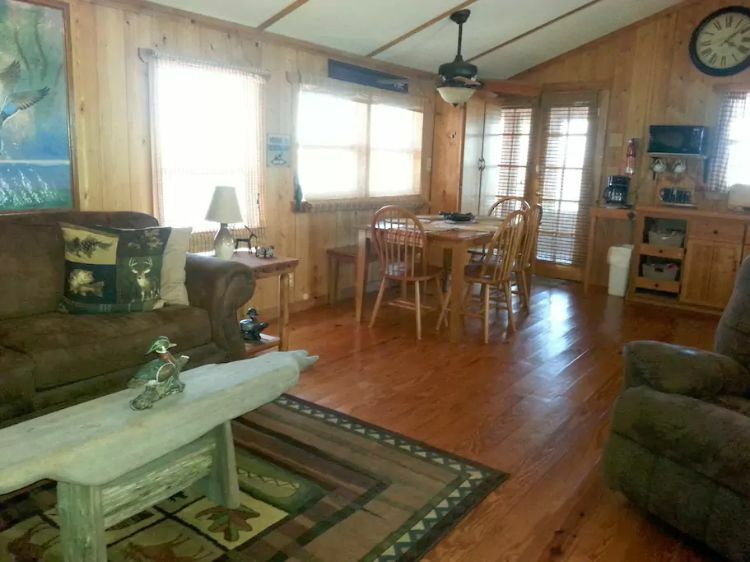 Catch a glimpse of wildlife or simply relax and unwind as the home gently rocks you to relaxation. As you enter the home, you'll notice that the home has been custom built with native woods, which gleam with natural beauty. The living room offers a comfortable couch, reclining chair, and cool coffee table handmade from driftwood. The boat is fully equipped with Wi-Fi and cable television. 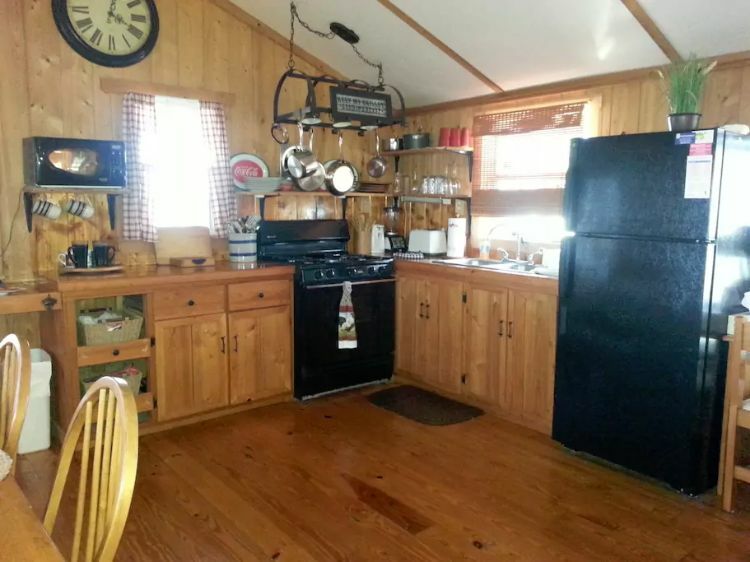 High ceilings and wood paneled walls complete the rustic feel of the interior. 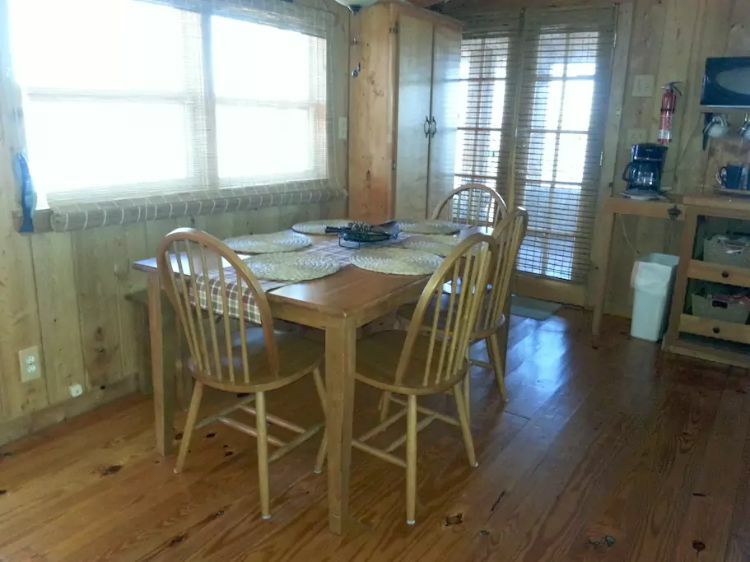 The dining room seats four, and oversized windows and doors let natural light in. The master bedroom offers a king-sized bed. 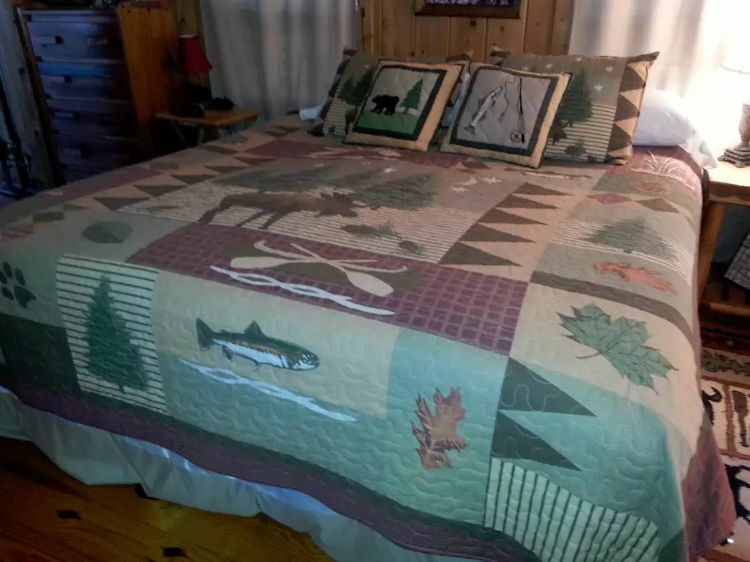 Check out the adorable fish themed bedding! 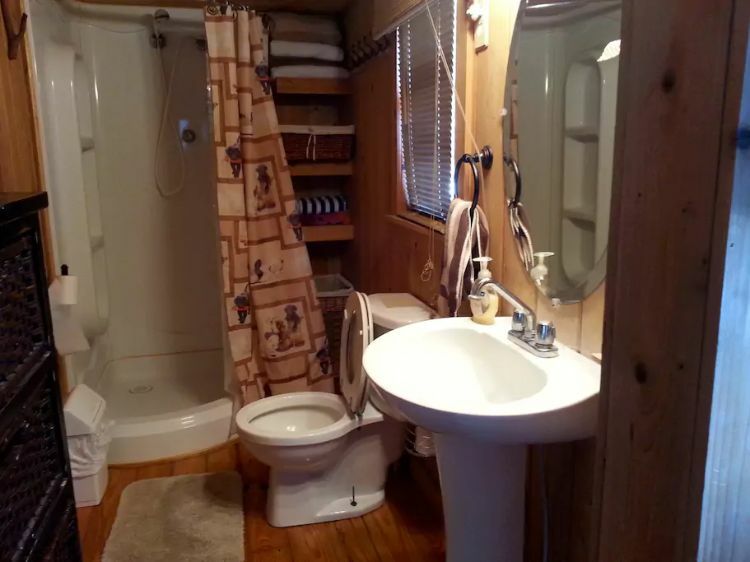 The bathroom includes a stand-up shower, pedestal sink, and toilet. Don't forget to grab a fishing pole on your way out the door! 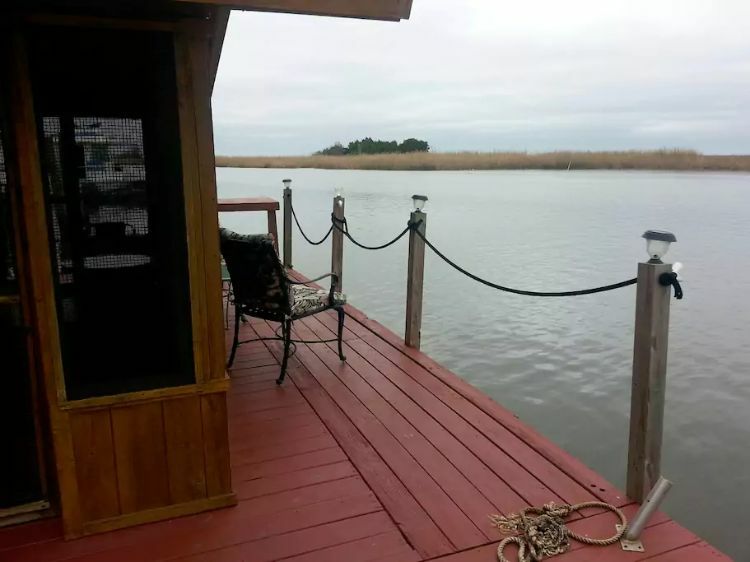 You'll need it as you fish from the deck and relax! What a perfect way to spend an afternoon!